It’s not suitable for outdoor use (only IP21 rated) and wasn’t previously off-grid compatible, but the Sonnen Eco is now available with automatic blackout/backup power option (sonnenProtect 1300). IT has a 1.3kW total load limit so it won’t run your reverse cycle air con and dishwasher, but is suitable for less intensive appliances like energy efficient fridges, lamps, laptops, fans, chargers, and so on. It was crazy that sonnen thought it was okay to release a premium solar storage battery without this option, but I digress…click here to read the sonnenProtect 1300 Specifications and datasheet. 2-16kWh capacity (modular design which increases in 2kWh increments). After more technical info? Click here to read the sonnenEco Datasheet. This is a real battle of the premium energy storage giants – you can certainly get systems for less but if you want the best it’s Powerwall vs. SonnenBatterie. 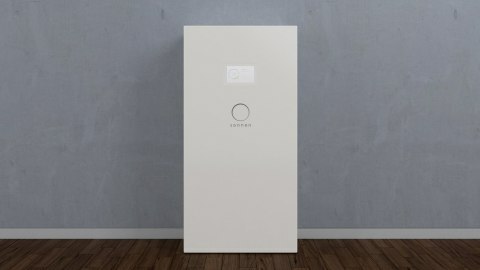 The Powerwall 2 and the SonnenBatterie eco are both ‘fully integrated’ systems – which means the unit included inverter, all the power components, and software. They’re both AC coupled – so you’re able to connect microinverters or string inverters to either of them if you so desire. As mentioned previously, the Eco is only for indoor installation but the Powerwall can be installed outside. They both have 10 year warranties but the Eco 8 is also covered for 10k cycles – the Powerwall, by comparison, only offers 3,650 cycles. If you want to buy a SonnenBatterie and you’re located in Australia, please fill in the form to the right and we’ll help you get the system installed by a qualified professional, at a great price.